In Iowa's wild fields, at the edge of ponds, in corners neglected by the mower, swamp milkweeds blossom and throngs of butterflies. 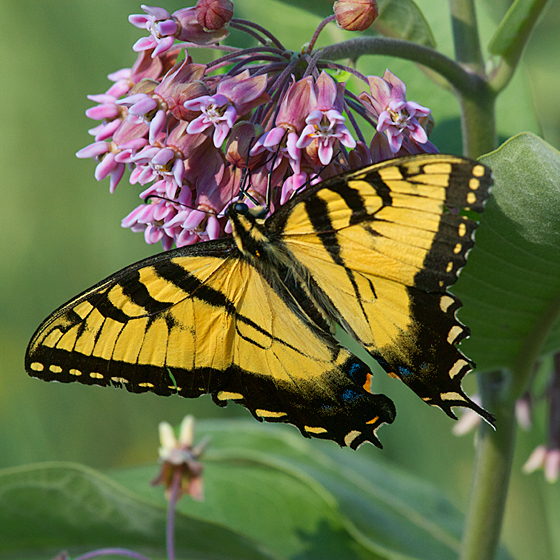 Here a Tiger Swallowtail satisfies its hunger and thirst with the flowers' nectar. And the scene answers something restless in my soul.